Ballina is located just south of Byron Bay on the far north coast of New South Wales just over an hours drive from the Gold Coast, 2 hours from Brisbane and 8 hours from Sydney. Ballina is serviced by a domestic airport which has daily flights from Sydney. Ballina Beach Resort is set in 3 acres of tropical gardens offering a unique atmosphere of peace and tranquillity (25 mins south of Byron Bay). 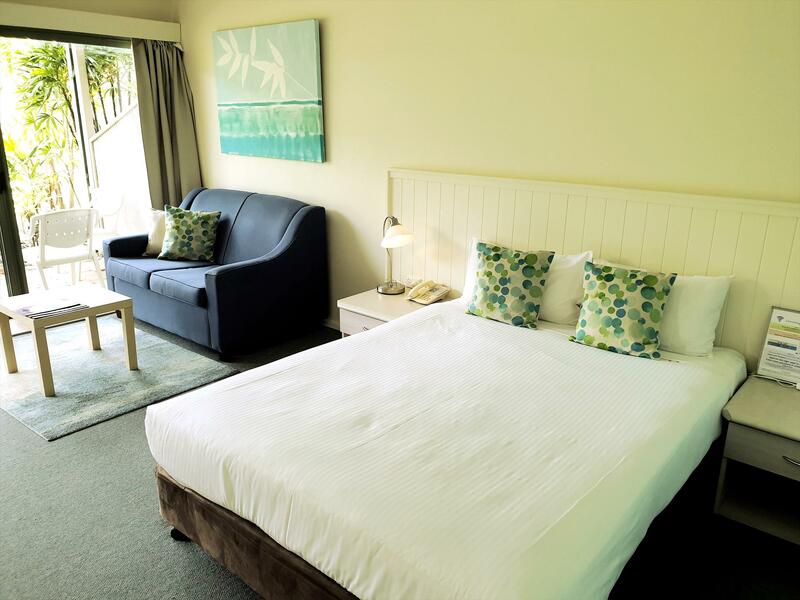 Quality Hotel (Ballina Beach Resort) is Ballina's only beachside resort accommodation set in 3 acres of lush tropical gardens. Facilities include conference rooms, spa with sauna and gym plus a tennis court. The Resort provides one of the most private and picturesque wedding venues on the North Coast. Boutique hospitality and attention to detail make a celebration at the Ballina Beach Resort unique. Quality Hotel (Ballina Beach Resort) is adjacent to Lighthouse Beach and Shelley Beach and only a 25 minute drive south of Byron Bay. Our facilities are ideal for a wedding celebration, a corporate gathering in one of our two well equipped function rooms, or a romantic break for two. Queen size bed in main motel bedroom with 2 single beds in 2nd bedroom.Shared bathroom as part of main room. Rate is for 2 people. Extra person charged at $20.00 per person per night. Breakfast available at extra charge. 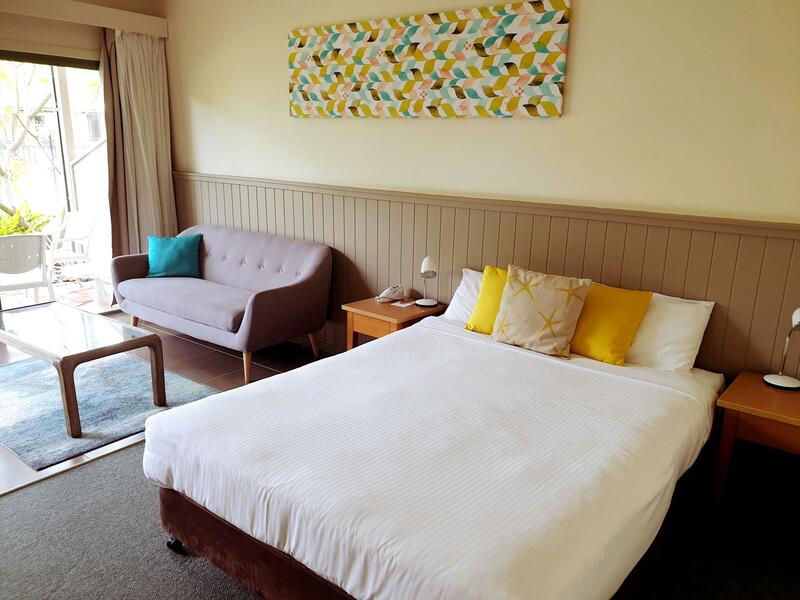 Rooms feature either a queen size bed or a queen size and single bed. Rate is for 2 people only. Extra person charged at $20.00 per person per night. Breakfast available at extra charge.